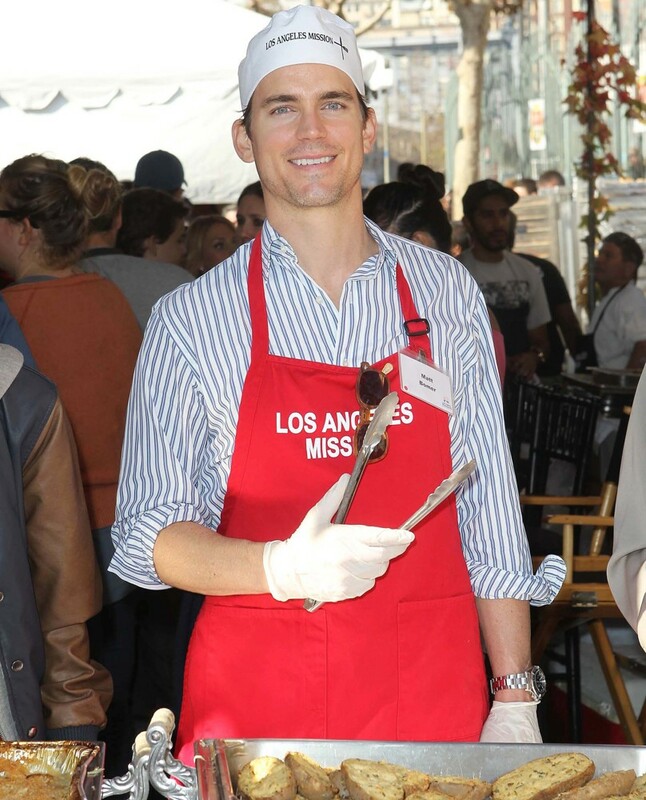 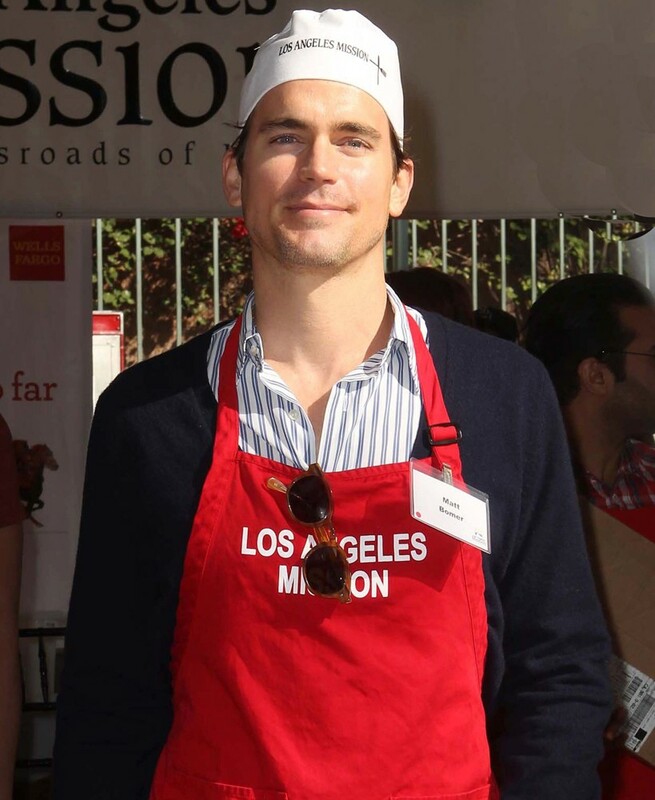 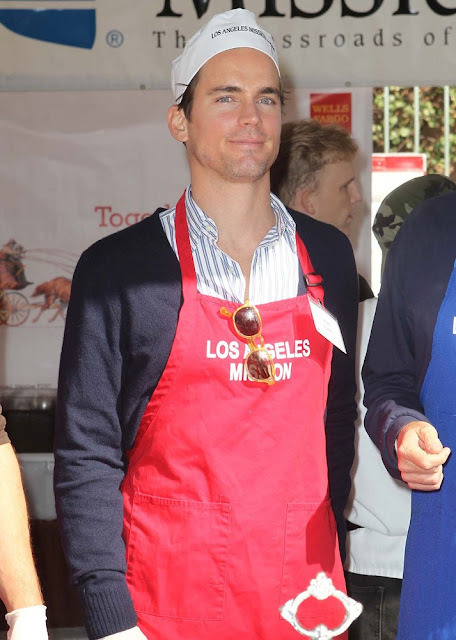 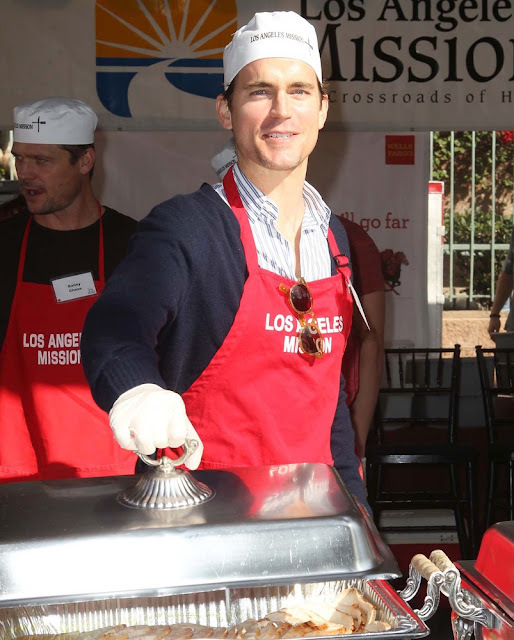 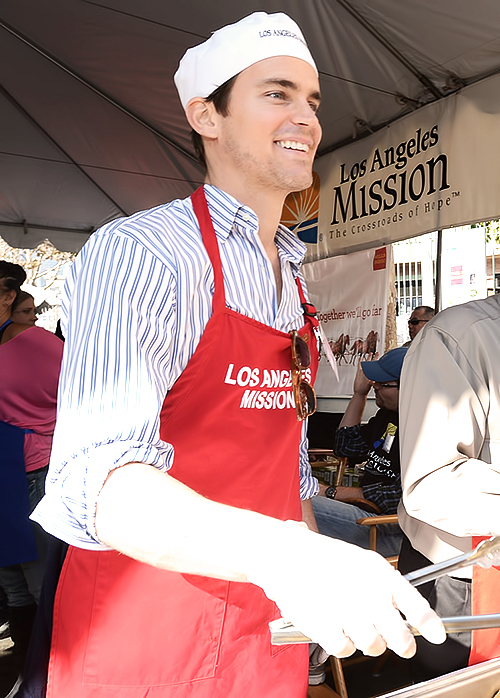 A gorgeous Matt Bomer was spotted volunteering at the Los Angeles Mission. 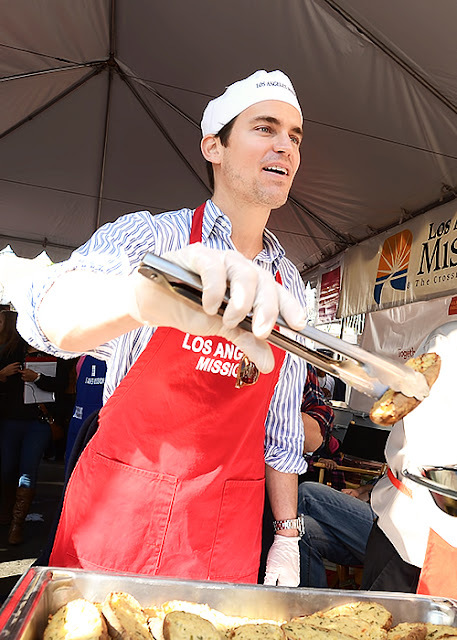 Matt along with Neil Patrick Harris helped pass out food to the needy for Thanksgiving. 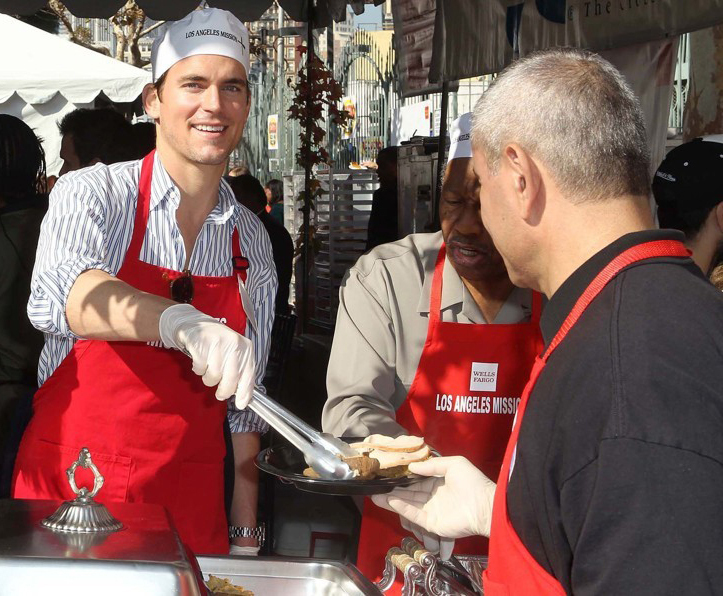 They helped dish out over 4,000 meals to the city’s homeless in the organization’s 76th Thanksgiving Celebration.